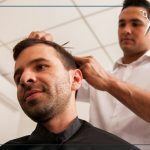 Barbering has been around for centuries, but it has come a long way since powdered wigs and twirled mustaches (although we have seen quite a few of those lately). Modern day barbering is about class and style. 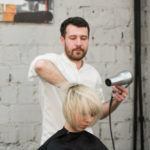 Whether that be the dapper, perfectly-trimmed beard, or the stellar fade with the perfect undercut, barbering is a skill that we are proud to help our students master. Check out some of our students’ amazing crowns, and schedule your appointment to get your own. 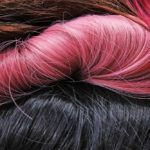 Undercuts and fades are becoming more and more popular among women. Not only does this give future and current barbers a chance to expand their skill, but amazing opportunities to showcase their work! We love this simple look created by our student Ernesto at our West Covina campus. Nothing showcases skill like an amazing straight razor cut, and these spirals are fire! Michelle Antoinette slays this perfect straight razor line, adding the accent to a fade that couldn’t be more precise. Add in her stellar makeup skills and this girl is going places! Follow her Galactic Mermaid persona on Instagram. The beat of the look is beyond! Perfect taper, perfect undercut. It’s all the makings of a perfect future. Way to get it done in West Covina! Finally, we can’t stop staring at this amazing look done by Bao Duong. It’s so flawless it even took third at the ISSE Barber Brawl in Long Beach. We train barbers, we help mold success. From perfect lines to perfect fades we couldn’t be more proud of our accomplished students. Want to get your own perfect cut for the summer? Or do you want to learn how to master this skill on your own? American Beauty College can help you do both. 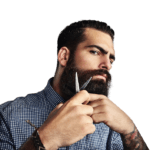 With our barbering-focused programs and teachers dedicated to their craft and their students, we can help you become the master of the straight edge or leave with the perfect design. Contact us today to learn more about our barbering program, or to schedule your appointment in our student salon. 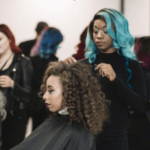 Cosmetology vs. Barbering: Which is Right for You?